It's been my long-time habit, that when I'm working on a story by an artist that I like, I listen to a good bit of that artist's music. 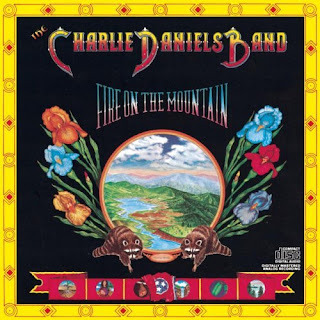 So, with Charlie Daniels coming to town for a festival, I find myself listening to his music to get into the right frame of mind to write the story. Of course, it's not like I have to go out of my way to hear this song. Every time my cell phone rings, I hear Daniels sing the words, "If you don't like the way I'm livin'/You just leave this long-haired country boy alone." I've kind of taken the song on as a personal anthem, since, well, I do have long hair (what's left of it) and I am a country boy. More than that, though, I do really relate to the lyrics. No, I don't get stoned in the morning and drunk in the afternoon (and neither has Daniels in a whole lot of years), but you could certainly find some people who think I'm no good and crazy as a loon. But the drug reference lines that people remember - "I don't want much of nothing at all, but I will take another toke" - belie the real message of the song, which is about living a simple, honest life and not trying to be anything but what you are. I ain't asking nobody for nothing, if I can't get it on my own; If you don't like the way I'm livin', you just leave this long-haired country boy alone. I first heard the song as a child and was reintroduced to it in the late 1980s when it was covered by a hard rock act called Every Mother's Nightmare. I still like that version, but nothing really compares to the original. Daniels himself even revisited the song on his record "Blues Hat" with a bluesy take. Most recently, Daniels did a hybrid blues-country version of the song on his "Live from Iraq" record that came out earlier this year, and it was one of the highlights of that record. I still have trouble getting past the changed lyrics on newer versions, though. Like several of Daniels' songs, it's been a long time since he sang the lines that reference drugs and alcohol. He now gets up in the morning and down in the afternoon, and he tells another joke as opposed to taking another toke. It's understandable that a Daniels in his 70s, who is just as likely to break out into a gospel song as one of his hits, would want to distance himself from some of the foolish things he did in his past. Still, I've always hated when people mess around with the songs I love. Though Daniels has changed and the song has changed, the fundamental message of the song still rings true - keep it simple, be yourself and don't let the bastards get you down. The world would be a lot better place if we could all live like that. Hear a sample of "Long-Haired Country Boy." Get "The Ultimate Charlie Daniels Band." Get "A Decade of Hits." Get "The Essential Charlie Daniels Band." Charlie changed it because he became a born again believer in Jesus Christ....maybe he just should not have sang it anymore and replaced it with a gospel song.